KUALA LUMPUR—Growing global interdependence poses greater challenges to policy makers on a wide range of issues and for countries at all levels of development. Yet, the new mechanisms and arrangements put in place over the past four decades have not been adequate to the growing challenges of coherence and coordination of global economic policy making. Recent financial crises have exposed some such gaps and weaknesses. The UN secretariat has long doubted such arguments, and warned that any unravelling of global macroeconomic imbalances would be unruly. Also, persistent asymmetries and biases in global economic relations have particularly hit developing countries, both emerging markets and the least developed countries. Not surprisingly, the UN Secretariat also drew attention to the close links between the financial crisis and the food and energy crises of recent years. A more integrated approach to handling these threats is needed, particularly to alleviate the downside risks for the poorest and most vulnerable communities. The UN Secretariat has a strong track record of identifying systemic threats from unregulated finance, warning against a misplaced faith in self-regulating markets and offering viable solutions to gaps and weaknesses in the international financial system. Special drawing rights (SDRs), the 0.7 per cent aid target and debt relief, for example, were all conceived within the UN system during the 1960s and 1970s. 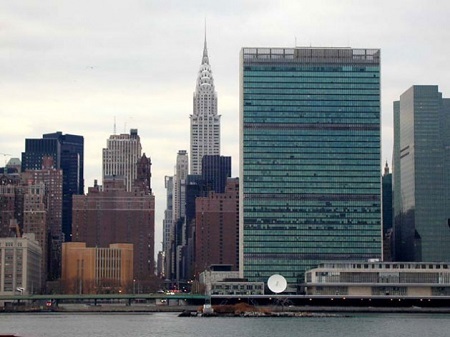 From the 1980s, the UN secretariat – both in New York and Geneva — has consistently warned against the excessive conditionalities attached to multilateral lending, promoted the idea of rules for sovereign debt restructuring, and cautioned that the international financial institutions were moving away from their traditional mandates of guaranteeing financial stability and providing long-term development finance. During the 1990s, UN agencies warned against the dangers to economic stability, particularly in developing countries, from volatile private capital flows and the speculative behaviour associated with unregulated financial markets. The UN was among the very few warning Mexico in 1994, the East Asian countries in 1997 and the world in 2008 that excessive liberalization threatened crisis. The UN system was also almost alone among international institutions to identify growing inequality as a threat to economic, political and social stability, and insisted early on measures for a fairer globalisation. Many of these concerns culminated in the 2002 Financing for Development Conference in Monterrey, Mexico. More recently, the UN has insisted on the importance of policy space for effective development strategies and particularly on the need for macroeconomic policies to support long-term growth, technological upgrading and diversification. The combination of a strong track record and a core secretariat steeped in its tradition of an integrated multilateral approach to policy-oriented research places the UN in the best position to advance discussions to reform the international financial architecture if given the chance to do so. Photo: United Nations Secretariat Building. Source: IPS.